I cannot say much about Sagada except that it was really too much for me to intake in just 3 days. I think that I need more time for the experience to actually sink into me. We stayed here for 2 nights and 3 days. The first day was for traveling here, we left Manila at 10pm and arrived Banaue passing the back way and not from Baguio at around 7am where we had our breakfast. From Banaue we had to drive all the way to Sagada which took us around another 2-3 hours. We got there at around 10am where we first took a long rest and had our lunch. We stayed at Hidden hill, which costs about Php 300 per head a night. Very quaint and hidden, it was a really nice place to stay in. 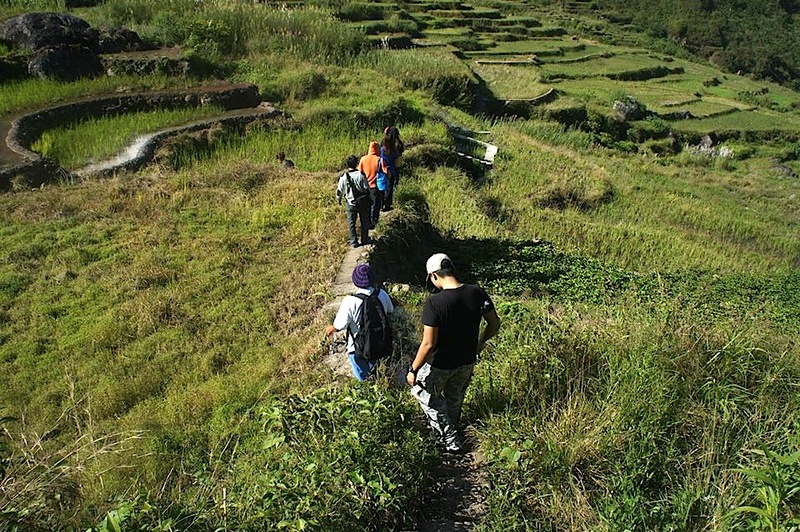 The viewpoint of Banaue Rice terraces. 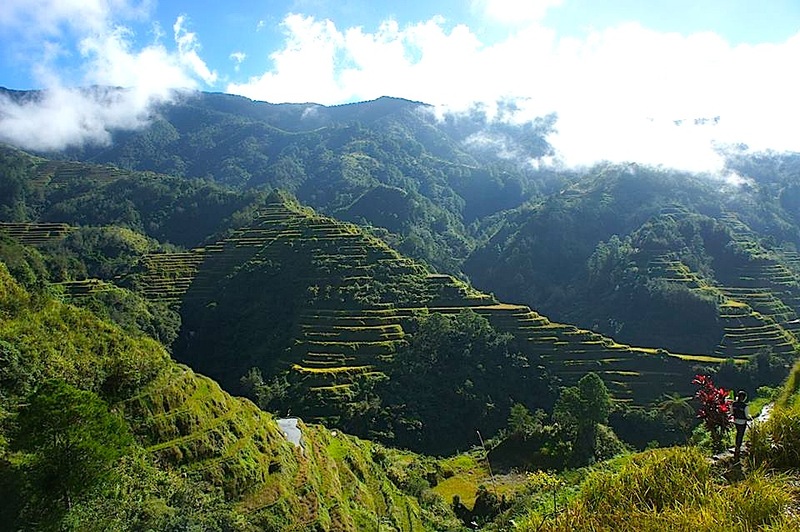 There are so much of the terraces all over the place so you could practically call everything Banaue Rice terraces. Hiking up to Bomod-ok falls. It takes about 2 hours going there and another 2 hours coming back. Don’t forget to should when you’re at the echo valley. We were advised to go to the Bomod-ok falls first today instead of the cave connection because apparently it was a “holiday” the next day and they said that we would not be able to visit the Bomod-ok falls because they would be resting. The Fedelisan people believe that the water here has healing powers. So if you want to try, you may swim in the falls. It is very cold though so be careful. Also the rocks are very slippery. Going to the Bomod-ok falls takes about a 2 hour hike up and down the terraces. It was a lot of fun talking to our guide about the culture down here. They are mostly Christians but they also follow their own traditions down here. Each person has their own Christian name and Native name. We learned a lot about how each family has a part in the terraces as a source of livelihood and how they use some of the grass as fertilizers. The view was breathtaking and the trek was long but worth it. It was also another 2 hour hike to go back up another route which was a bit easier since it was less steeper. Day 02: Cave connection from Sumaguing to Lumiang cave then we spent the afternoon in Ganduyan Museum, Pottery house and hike around Echo Valley to the Hanging Coffins. Cave connection/ Spelunking is optional. 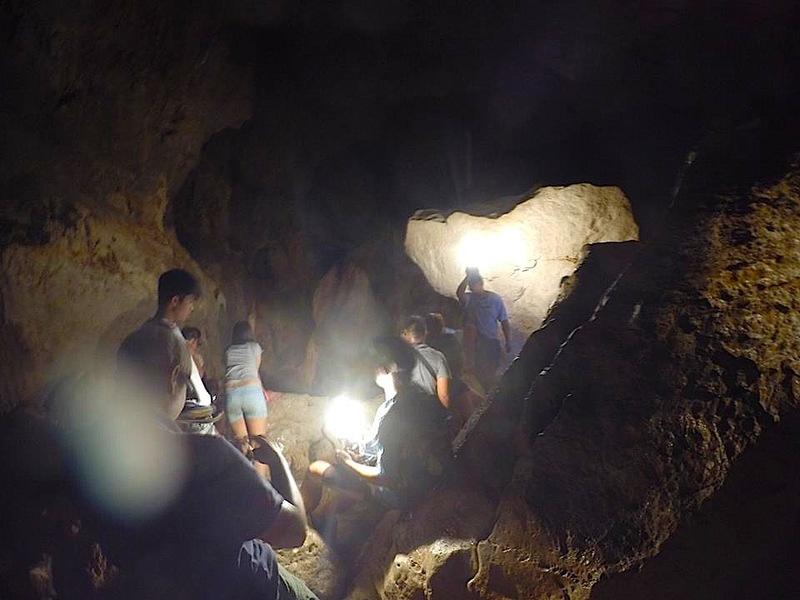 You may opt not to take the route from inside the cave of Sumaguing to Lumiang, but I would recommend this because it was so much funner! Php 300 per head. This was the most tiring day ever! I was falling asleep between the trips because I was so tired from spelunking in the cave connection. You can opt to do the cave connection or not, but I would encourage you to try it because it was such a memorable experience! You wouldn’t believe how beautiful it was inside that cave. Don’t worry if you’re not so experienced. There are a lot of guides to help you go around the cave. I would suggest that you go here in small groups so that you do not take much time. Also bring slippers to go around the cave because sandals could cause you to slip easily. It took us about 4 hours inside the cave and we were exhausted when we got out. The lady guided me in making the pot. It was really difficult even if she made it look so easy. After lunch we headed to Echo valley which was another hike to the hanging coffins. Really interesting tradition of the Fedelisan tribe here. After another long hike we headed to Ganduyan Museum, and I was already dozing off. 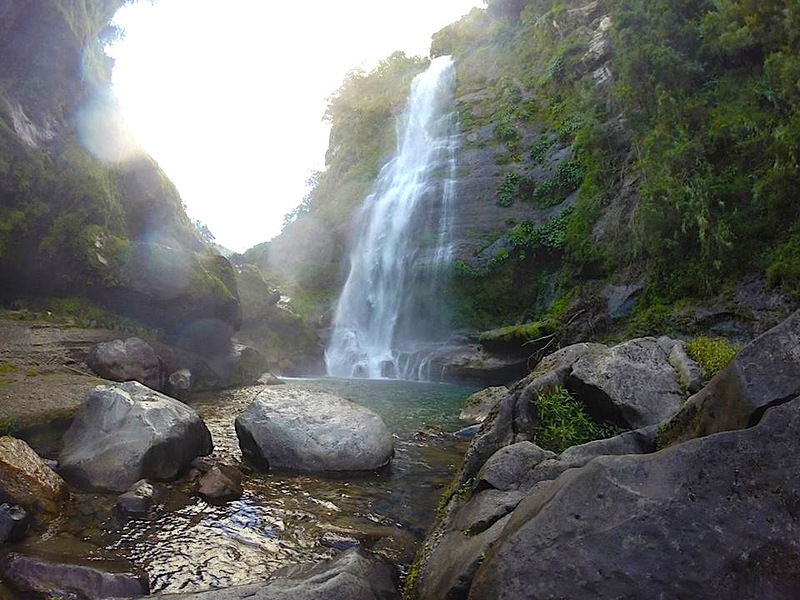 Ganduyan was the original name of Sagada but due to a misunderstanding with the Americans the place was called Sagada. The museum is really one to visit and I would encourage that you ask them to guide you around. The owner of the museum takes care of this place very well and it gave me a good look into their traditions. Then we headed to the Pottery house where I made my first ever pot. 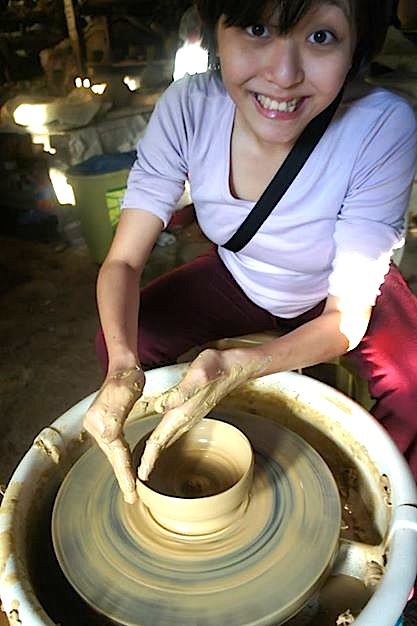 It was pretty difficult and the lady in the pottery house kept on scolding me (haha). It was so much fun! I wish that I had more time here because it really was a lot of fun. 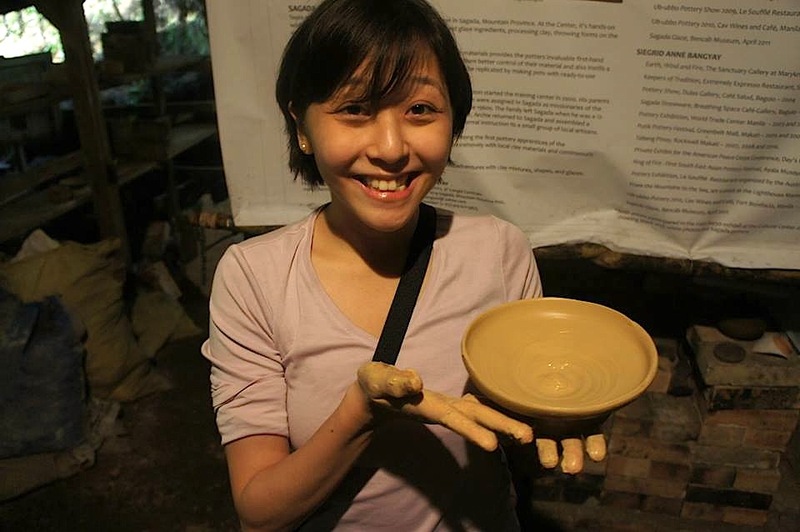 Php 100 per person to try the pottery making. Trying to catch the Sunrise from kiteplan tower at 5am. Day 03: Sunrise at Kiteplan tower, leaving Sagada passing by the route to Baguio and the Highest point of the highway. We woke up at 430am just to watch the sunrise on Kiteplan tower. Although today Mr. Sun didn’t show up we did get good pictures. How I wished that I was on top of Mt. Pulag at that time. It was a sea of clouds and It was really cold to be up there at 5am. 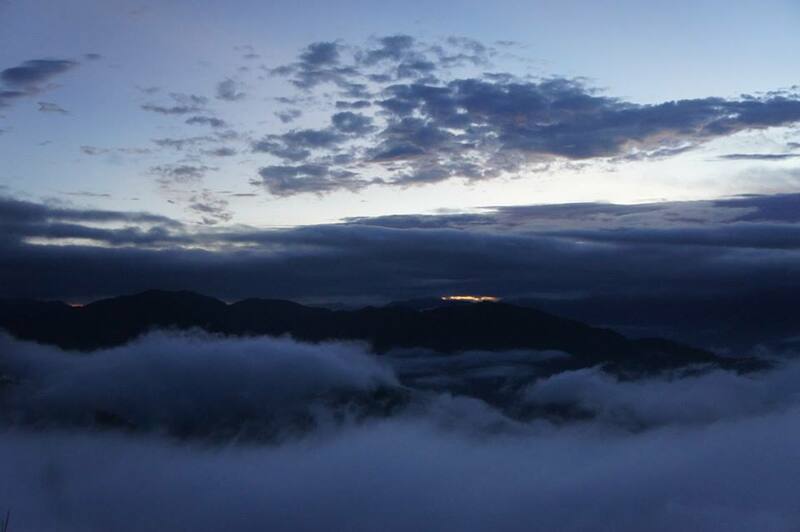 After watching the sunrise we left Sagada for Baguio. On the way there we stopped over at the highest point of the highway for a bathroom stop and to stretch our legs. Then we passed by La Trinidad strawberry plantation before heading home. This way going home is actually longer than the back way but it was part of the tour to be passing by this way so we did. We spent a total of Php 6000 each including accommodations, food, transportation and the tours. We booked the hotel and the itinerary with Parana tours. It cost us about 3800 to book with them which included the individual rooms and the van transpo with the tour guide and most of the tours. The rest of the 2200 pesos was for the food, the cave connection Php 400 each but Php 300 if you do not book this with the agency and pasalubong shopping. It wasn’t so bad for a first try and I would love to come back to explore some more of Banaue and Sagada. There are just so much things to do here and I really didn’t expect to have that much fun. 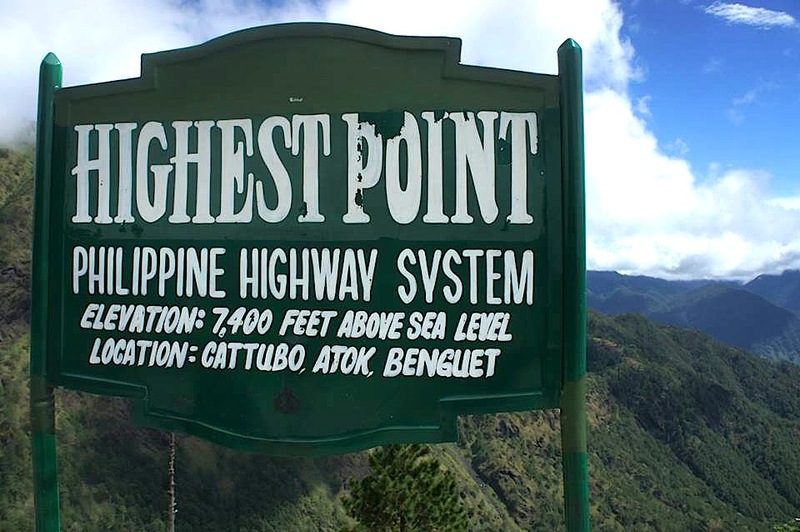 My next trip might be to Ilocos but since I don’t want to ride a van anymore I plan to just take a plane going here. It’s just too much of a hassle to be sitting around in a van for 12 whole hours. 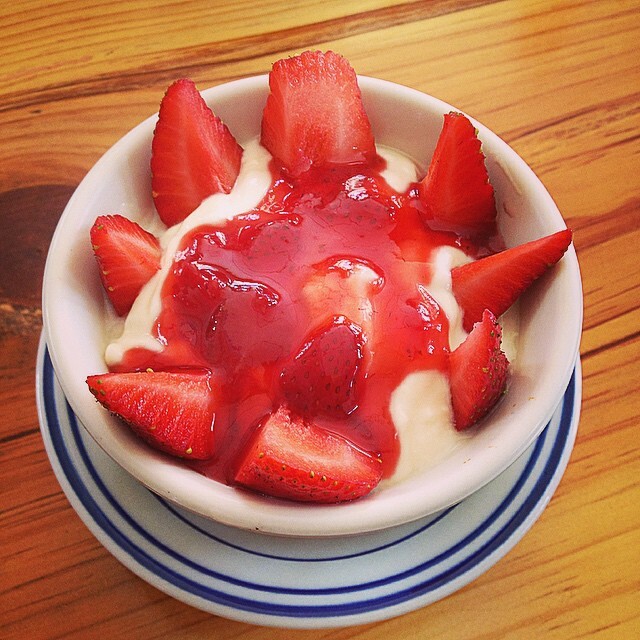 Strawberry Yoghurt from the Strawberry Cafe. I will come back to eat more of their food! For the places that I ate in Sagada check out my post on Exploring the food in Sagada, Cordillera Region. Pagyaman! Fedelisan tribe. The waterfall & cave sound fun! The cave connection was really fun! I posted a video up on youtube on my trip which I have yet to add.